Review on Background Magazine – 5 Stars! Rating score: 5 stars out of 5 ! Sometimes it pays off when you’re searching on YouTube for music that might be interesting. When I heard the first notes of the opening tune of Solipsistic, the debut album of Semantic Saturation, I was completely flabbergasted. I found out that the initiator of this band was a Canadian guitar player of Syrian-Armenian origin by the name of Shant Hagopian. After contacting him through Facebook, he was so kind as to send me the complete album to review for Background Magazine. What do you get when you bring together a stunning, but fairly unknown songwriter and guitar player – which will soon change I guess – with some of the finest musicians in both prog rock and fusion? The answer is Solipsistic: heavy instrumental progressive rock and metal crossing the edges of fusion. I say instrumental, but that’s not completely true since vocalist Andy Kuntz (Vanden Plas) lends his remarkable voice for the final piece. The great instrumentalists are keyboard wizard Derek Sherinian (Planet X, Black Country Communion, ex-Dream Theater), bass player Ric Fierabracci (Planet X, Frank Gambale and Eddie Jobson’s UK) and drummer Virgil Donati, who also participated in Planet X and recorded solo albums as well as albums with Tony MacAlpine, Derek Sherinian and Frank Gambale. These musicians don’t need any further introduction, because I think that many BM-readers will possess one or more albums on which they play. With musicians like these, it’s hard to imagine that they’re able to create a bad album. After listening to the first song Ambivalence I immediately knew that I got a winner here. On this track the spirit of Dream Theater wanders about. It’s a powerful instrumental piece with guitar work that reminds me of John Petrucci. The keyboards just add that little extra; they sound quite differently from the way Jordan Rudes plays, but Derek Sherinian clearly leaves his mark. At the end it’s melodic but heavy. Make Believe has a fluent guitar line and, as in the previous song, you’ll notice the strong drum sound of Donati which I think has been mixed perfectly! In this song Hagopian duels with Sherinian; in the solos his guitar play seems to be slightly influenced by Steve Morse (Deep Purple, ex-Kansas). First thing that came to mind when Lost And Found – Insanity started was Beyond The Realms Of Euphoria, the latest Galahad album: many modern influences and the guitar that basically tells the story and again that perfect mix. Fierabracci’s bass stands out and listening to the music I have to refer to Planet X, but a more heavy metal one. 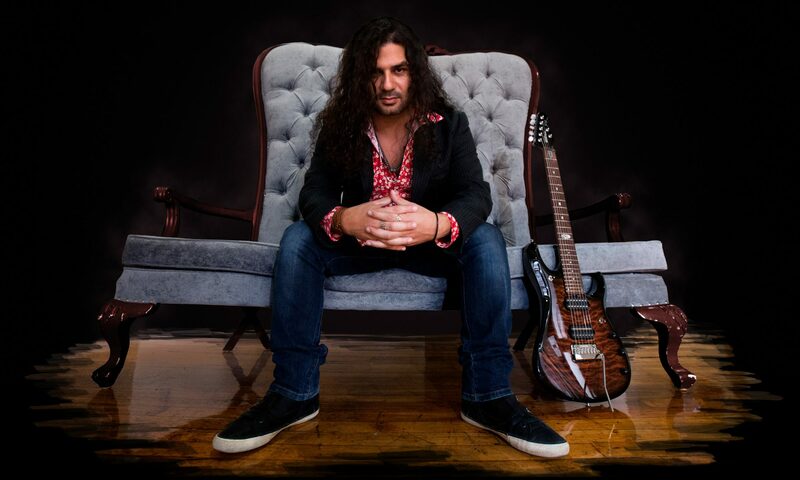 Stardust is a perfect showcase for the guitar of Hagopian, who again tells the story by mixing melody lines with a heavy riff and a Dream Theater-like structure. This almost seven-minute monster completely blew me away with its combination of piano, guitar and keyboards. They slow down a bit with Blessing In Disguise; you may call this piece an instrumental ballad wherein Derek Sherinian excels, while Shant Hagopian plays the acoustic guitar in order to create an intimate atmosphere. His sustained notes on the electric guitar perfectly combine with the bass and drums. In Armchair Activist the band regain speed and power with energetic drumming. The bass creates a foundation for two different sounding guitars and Sherinian’s keyboards. The guitar line sounds as if it’s easy to play, but experience shows that easy sounding passages are often the more difficult ones to play. Point Of Singularity contains the combination of an acoustic guitar with quirky background sounds while Shant plays sustained guitar notes; it slightly differs from the other compositions. Fluent guitar lines over impressive drum chops create a stunning combination in Time Is An Illusion. Donati’s typical drum sound is being highlighted in this fine piece. As I mentioned before, the only vocal song What If We All Stop is also the final song on Solipsistic. This impressive epic shows great songwriting skills. It’s good to hear Andy Kuntz supported by a different guitarist instead of Stefan Lill, who has a totally different sound with Vanden Plas. Although I like instrumental music very much, What If We All Stop is so impressive that it became my personal favourite of Solipsistic. By the way, the last four seconds really did the trick! I’m glad to have found Shant Hagopian on YouTube and I’m grateful that he has sent me the album to review. I think Solipsistic really is a perfect album for all progressive metal and guitar fans. Hagopian made his debut on the highest possible level that can only be demonstrated by a five-star rating! I’m anxiously looking forward to his next effort.